Expatriating from the United States to the Cayman Islands does not relieve you of your duty to report income to the Internal Revenue Service, or IRS. While your location may have changed, your tax obligations have not. If you’re a US resident living in the Cayman Islands, or if you’re planning on becoming one anytime soon, it is essential to comply with IRS tax reporting requirements if you wish to avoid costly penalties and, in cases of willful noncompliance, criminal prosecution by the Department of Justice (DOJ). As a CPA who specializes in handling international tax matters, Ted Kleinman brings more than 30 years of experience to every client he works with, no matter how complex the issue. 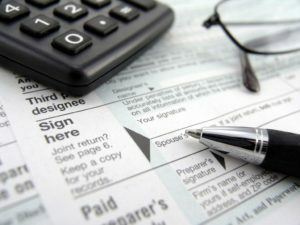 Whether you’re worried about resolving tax matters like failure to file, failure to pay, or failure to disclose foreign accounts held in the Cayman Islands, need to get your financial records in order in preparation for your move, or simply want to make sure you’re taking full advantage of the credits and deductions that may be available to you, US Tax Help is here to guide and assist you. To start discussing how Ted Kleinman CPA can help you in a private consultation, call US Tax Help today at (541) 923-0903 . Remember, deadlines are critical where the IRS is concerned — don’t wait another day to get started. Do Expats in the Cayman Islands Have to File Taxes? The short answer to this question is yes, you are required to file (and pay) tax as a US expat in the Cayman Islands. Failure to file tax return or to pay tax (26 U.S. Code § 6651) – Up to 25% of unpaid tax or 100% of unpaid tax, depending on the circumstances. Willful failure to file return, supply information, or pay tax (26 U.S. Code § 7203) – Up to $25,000 in fines and up to one to five years in prison. The fine increases to $100,000 for corporations. Attempt to evade or defeat tax (26 U.S. Code § 7201) – Up to $100,000 in fines and up to five years in prison. The fines increases to $500,000 for corporations. The good news is that the IRS extends the filing deadline for US residents abroad. While persons living in the US must normally file by April 15, residents abroad qualify for two extensions: an initial extension until June 15, as well as a second extension, requested via Form 4868 (Application for Automatic Extension of Time to File U.S. Individual Income Tax Return), which lasts until October 15. If you’re worried about catching up on back taxes, now is the time to start exploring your payment options. Ted will help you negotiate with the IRS to get your matter resolved. 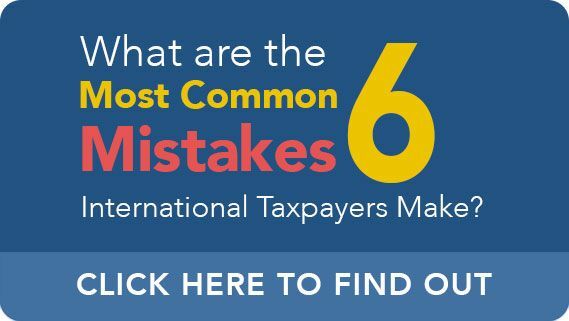 Holders of foreign accounts are subject to some of the IRS’ most rigorous reporting requirements — and the penalties for noncompliance can be devastating. As numerous court cases in recent years have made amply clear, the IRS’ Criminal Investigation Division (CID) will not hesitate to refer a case to the DOJ for prosecution if willful tax evasion or other acts of actual or attempted tax fraud are discovered. One of the major requirements that might apply to you is filing an FBAR (Report of Foreign Bank and Financial Accounts). 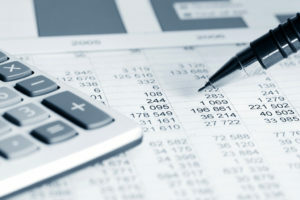 Filing an FBAR is mandatory if you are a US person — a term which includes US citizens, US residents, trusts, estates, and business entities — and if the aggregate value of your foreign bank accounts or foreign financial accounts exceeded a total of $10,000 at any point during the year, however briefly. If this describes you, you must file an FBAR online, using FinCEN Report 114, via the BSA E-Filing System. If the IRS detects a non-willful violation, you may be penalized with a maximum fine of $10,000 (per violation). For willful violations, the penalty climbs to $100,000, or 50% of the balance in the account at the time the violation(s) occurred. Along with filing an FBAR, you may also be required to file Form 8938 (Statement of Specified Foreign Financial Assets). Note that FBAR and Form 8938 are separate requirements and do not replace or substitute each other. As we’ve already established, the criminal penalties imposed for various tax crimes are severe, typically involving tens or even hundreds of thousands of dollars in fines in addition to months or years in prison. However, even if you’d had issues with noncompliance in the past, you can help to minimize the likelihood of criminal prosecution by participating in an IRS program called “Streamlined” that is subject to its own unique set of requirements and considerations. Ted will work with a qualified attorney to help you understand whether the Streamlined Program could be right for you. The Streamlined Offshore Procedure does eliminate all penalties, but participants are still subject to unpaid taxes plus interest. The Streamlined Domestic Procedure also includes a a 5% penalty on the foreign bank balances for the year in the covered period. However, these fines are often dramatically lower than those which would otherwise be imposed, which, in combination with the chance to obtain relief from federal prosecution, makes the Streamlined an attractive option for many taxpayers in the Cayman Islands. Once the IRS begins investigating you, it’s already too late: you will not be permitted to participate in the Streamlined! Therefore, it is critical to take prompt action while the option remains open to you. To start talking about your tax matter with Ted in a completely confidential consultation, call US Tax Help right away at (541) 923-0903.